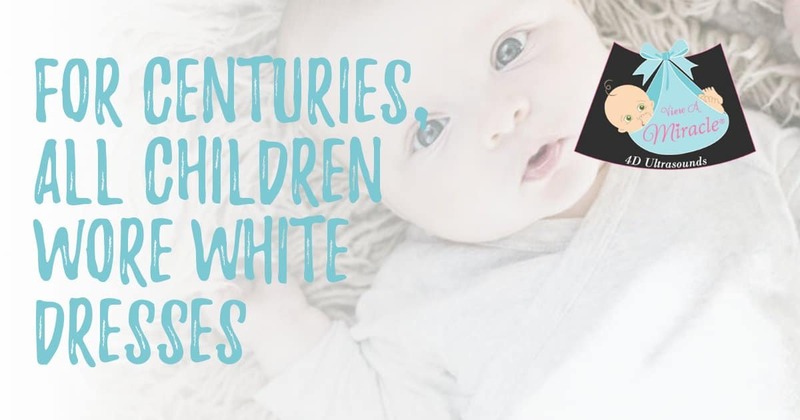 For centuries, all children – boys and girls – wore white dresses until around six years of age. The early 1900s and 1920s saw a surge in people preferring color, however, some publications and retailers recommended that boys wear pink and girls wear blue, the opposite of what we see today. The mid-1960s women’s liberation movement made gender neutral clothing popular again. Then, in the 1980s, gender determination technology became widely available. This caused the trend shift back to gender-specific, similar to what it was in the 1950s. Many of the color schemes were driven by retailers as mommies and daddies-to-be flocked to the stores after their gender revel to start purchasing gender specific clothes and furniture. View a Miracle offers the most advanced technology available for gender determination. Gender determination can be made with about 95% to 99% accuracy after 12 weeks, and 100% accuracy after 16 weeks. We also offer packages and party space for you to conduct an exciting gender reveal party with your family and friends. Are you interested in knowing what color to start decorating your nursery? If so, contact us to book your gender determination appointment and gender reveal party today. It Wasn’t Always Pink and Blue The Gender Reveal Party – How Did This Trend Get Started?